Why does the character we long to have take so long to develop? "Lord, give me patience and give it to me right now!" This was a frequent prayer my mother spoke over me frequently in my boyhood years. This prayer may say more about me as a boy than it does about my mother or about patience. The Lord's answer to this prayer resulted in a son who loves the Lord, loves his family, and loves his mother. The transformation I needed for each of these qualities to become my own priorities didn't happen overnight. My mother's daily influence, along with clear boundaries consistently enforced by both parents who demanded respect while being generous with their love, are all pieces of influence that God used to form me. Even in my sixties, I have still not completely arrived at my parents' holy destination for me. My mother will still "mother" me when she feels a little more influence is needed to nudge me in a better direction! We live in an instant world. I understand that. Like you, I hate waiting. I disdain traffic. I dread standing in line. For me, one definition of hell would be to stand in a TSA line only to get to the x-ray machine and have to start over... and keep doing this for eternity. So I understand the frustration a new, eager, and passionate young follower of Jesus can have. 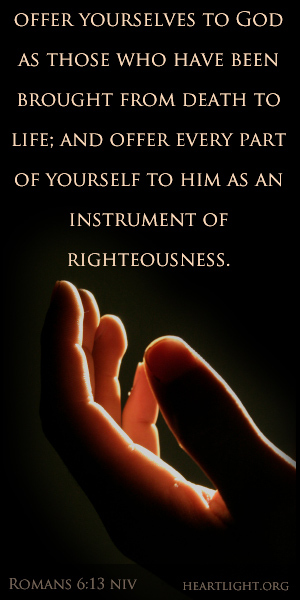 She or he wants to become spiritually mature, wise, and godly in character, "right now." These precious new disciples can be impatient with their failures and frustrated with their slow growth. They can be easily discouraged by their repeated stumbles with temptations. Each wants to be mature the moment the water dries from his or her baptism garments. They want to be "living sacrifices" that please God and follow Jesus (Romans 12:1-2), but they all too frequently notice that the sacrifice keeps crawling off the altar. I get their passion. In fact, I love it. However, a mature disciple of Jesus — one formed to be like Jesus (Luke 6:40) — doesn't happen in an instant. The commitment to become fully mature must be genuine. The desire to be holy and useful to the Lord is necessary. The passion to be like Jesus is essential. Thankfully, Jesus declares us to be holy in his sight, without blemish and free from accusation (Colossians 1:22) when we become Christians. We were made a perfect disciple by the Lord's grace and in the Father's eyes. That grace continues to help us become who Jesus says we are and do what Jesus calls us to do (Ephesians 2:8-10). The power behind this grace that transforms us is the Holy Spirit (Ephesians 3:14-21) who transforms us, little-by-little and day-by-day, to become the "Jesus-charactered" person we long to be (2 Corinthians 3:17-18). As we focus on Jesus' call of his first disciples, we realize transformation is gradual — "ever-increasing" and not all at once (2 Corinthians 3:18). Displaying the ripened fruit of the Spirit (Galatians 5:22-23) takes growth over time with the right soil and with the right Spirit-provided nutrients to feed us. Come now — duete meaning "Come!" 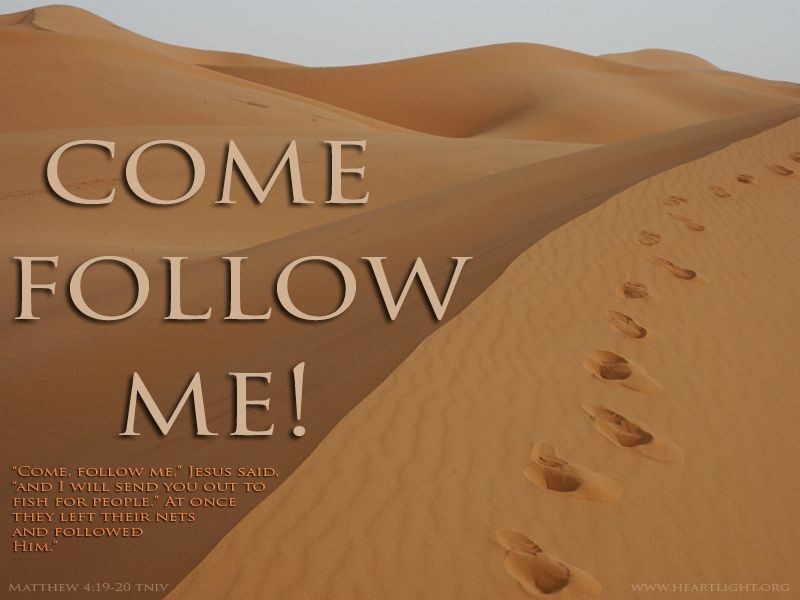 Follow me — opisow mou meaning "[Follow] behind me!" I will help you become — poieisow humas genesthai meaning "I will help you to become." Jesus is inviting his followers to dance with him to a 3 beat measure. I commit to Jesus now. I follow behind him to know him, to learn from him, and to take on his way of living, loving, and saving. I am in the "committing to stay in the process and in the following Jesus" business. Jesus is in the "transformation of me" business. It is as Eugene Peterson entitled it, "A Long Obedience in the Same Direction" on my part while remembering that transformation is the Lord's part. Let's not quit on the Lord's plan of transformation because we can't make ourselves become all that we want to be for Jesus immediately. Let's remember our work is to daily commit and follow; his work is to help us become the disciple he is calling us to be. We supply the will to become, and he supplies the power to become. Along the way, we will get frustrated by our lack of immediate progress, our stumbling and bumbling attempts at mature discipleship, and our lapses back into immaturity and even sin. In our frustration and impatience, we must not give up on his work of transformation in us. 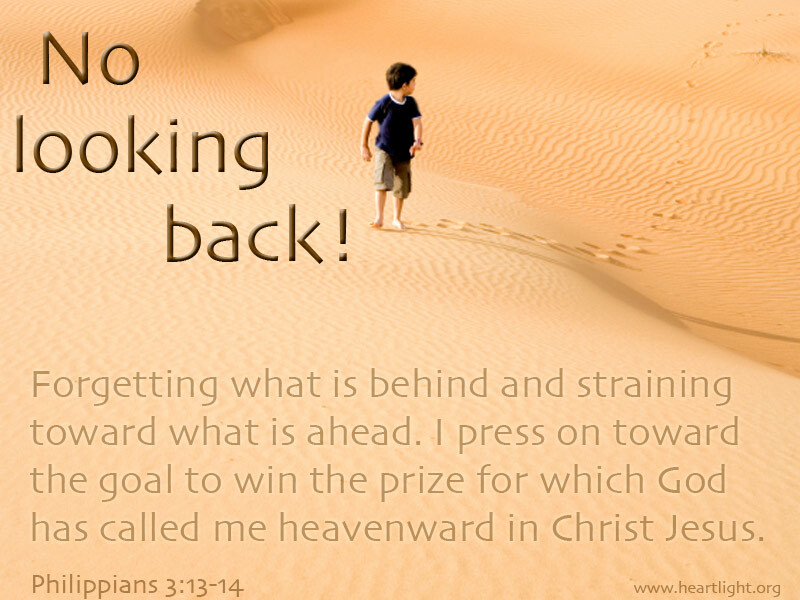 Let's join Jesus in the journey and see what he is going to with us! "The Journey with Jesus to Transformation" by Phil Ware is licensed under a Creative Commons License. Heartlight encourages you to share this material with others in church bulletins, personal emails, and other non-commercial uses. Please see our Usage Guidelines for more information.